Jaynee Taguchi Meyer has expertise in fieldwork education and adult physical rehabilitation. She has been an occupational therapist for 30 years, earning a BS degree in Occupational Therapy from San Jose State University and an MA and OTD in Occupational Therapy from USC. Her clinical practice expertise includes inpatient, outpatient and community-based neurological rehabilitation. Her doctoral work focused on academic program and professional identity development of a Doctor of Occupational Therapy. Dr. Taguchi Meyer’s career in occupational therapy fieldwork education began in 1986 as a fieldwork educator in clinical practice, then as a fieldwork site coordinator at a large acute-care hospital, clinical education consultant for a company that contracted services to skilled nursing facilities and, since 2002, as Academic Fieldwork Coordinator at USC. Her master’s thesis research examined factors influencing practitioners’ participation in fieldwork education. She was the 2002 recipient of OTAC’s Fieldwork Educator Award, recognizing her outstanding knowledge, expertise and work in fieldwork education. 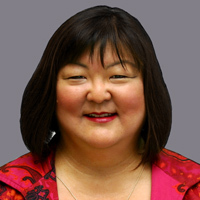 Dr. Taguchi Meyer presents on a range of fieldwork topics at national, state and local conferences, and educates practitioners and Academic Fieldwork Coordinators as a trainer for AOTA’s Fieldwork Educator Certificate Workshop Program since 2009. Current interests include facilitating success for OT students with disabilities in fieldwork and promoting best practice in fieldwork education. Meyer, J. T., Dallas, J., Evenson, M., & Hanson, D. (2015). Maintaining longevity in the role of academic fieldwork coordinator. In D. M. Costa (Ed. ), The essential guide to occupational therapy fieldwork education: Resources for educators and practitioners (2nd ed., pp. 430-438). Bethesda, MD: American Occupational Therapy Association.